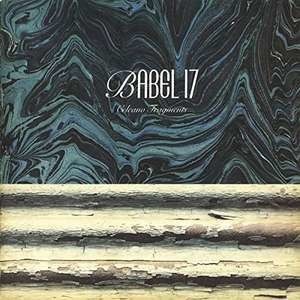 Hard-edged French coldwave act Babel 17 officially formed in 1989. Members of the band had been playing together under various names since 1983, scrapping, rewriting, and experimenting with songs and ideas before settling upon their official name and sound. The first incarnation’s drummer would go on to join Little Nemo, who helped the newly formed Babel 17 land a record contract with the prestigious Lively Art label (And Also The Trees, Little Nemo, Asylum Party…). The band released two albums and a series of singles before splitting in 1993, just as their peers were folding and Lively Art closed its doors. Released in 1990 Celeano Fragments is now reissued on vinyl for the first time. A2 – Angels Of T.V.